A deeper understanding of patterns of change in creatures over time is necessary to advance the creationary view of biology. While much research has been done at a molecular level with bacteria, there is a need to evaluate changes in sexually reproducing organisms. The development of insecticide resistance in insect populations has been studied in considerable detail. A literature review focusing on insecticide resistance in Lucilia cuprina, the Australian sheep blowfly, was conducted. While the development of resistance to malathion can be easily explained by natural selection, resistance to diazinon is not so easily explained. It is suggested here that diazinon resistance and multiple resistance from gene duplication may be the result of designed mechanisms that allow for adaptation in created life. It is pointed out that evolutionists are increasingly discussing genetic and metabolic systems within the context of computer programming. A deeper understanding of the underlying mechanisms involved in genetic changes may explain the considerable variation within created kinds (baramins) and the ability of these creatures to adapt to changing environments. In other words, we can gain a deeper understanding and appreciation for how God sustains his creation in a fallen world. Figure 1. 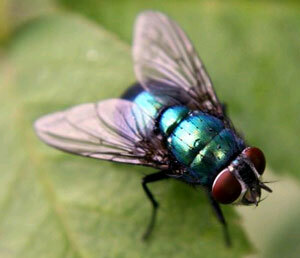 Lucilia cuprina, the Australian sheep blowfly, is an introduced pest that costs the Australian wool industry over $160 million a year. Eggs laid on living sheep hatch and the maggots eat through the animal’s flesh in what is called flystrike. To further develop a creationist view of biology, it is necessary to more fully understand patterns of change within creatures and the likely role of these types of changes during history. Unfortunately, since evolution is sometimes defined as ‘change through time’, creationary apologists have sometimes responded with vague arguments that creatures don’t really change much—an ambiguous and not necessarily biblical response. It is not so much the amount (very small genetic changes can result in large phenotypic changes) as the pattern of the changes that is important. The evolutionary model predicts an overall upward trend from chance processes to account for the origin and subsequent major restructuring of well integrated morphology and biochemical pathways. This trend should be obvious since this model claims to be able to account for the diversity of extant kingdoms and phyla. The biblical model may include providential changes (since God cares for his creation1 ) or degenerative changes (since the world was cursed as a result of mankind’s rebellion2 ), but not the overall ‘creative’ changes by purely random processes that characterize the evolutionary model. Considerable research has been done describing changes in different life forms. Much research has been done at the molecular level in bacteria since they are so convenient to study in the laboratory. It is interesting that researchers in this field who are not part of the creation or intelligent design movements have pointed out that many changes in the genetic code appear as a result of far more complex mechanisms than just random, chance processes.3 For example, when bacteria are starved, directed mutations may occur to alleviate the stress. It is unclear if similar directed mutations occur in sexually reproducing life forms.4 One issue is that there must be a mechanism for introducing these mutations into the germline. Insects cause tremendous damage to crops and livestock. Numerous insecticides have been developed to control or eliminate these pests. Much to the dismay of those involved in agriculture, insect populations regularly develop resistance to insecticides. Due to its economic impact on agriculture, this resistance has been fairly well studied and provides a logical place to look for patterns of change in sexually reproducing animals. Emphasis will be placed here on a specific pest, Lucilia cuprina, the Australian sheep blowfly (figure 1). There are several popular organophosphorus insecticides (OPs) used to control ectoparasites in sheep. These poisons target acetylcholinesterase, a product of the Ace gene. Normally this enzyme breaks down acetylcholine after it has been used to transmit nerve impulses (figure 2). The OPs inactivate acetylcholinesterase so it cannot break down acetylcholine. This results in a build up of acetylcholine at the nerve synapse and a hyperexcited central nervous system which kills the insect. While some insects (e.g. Drosophila melanogaster5 and Musca domestica6 ) have developed OP resistance through mutations in the Ace gene, L. cuprina has not, despite the fact that it has a highly homologous gene in which ‘All major structural and functional features of the protein are conserved.’7 Further study indicates that the product of the Ace gene in L. cuprina does not interact as readily with OPs as does the product of another gene (αE7). The reverse situation occurs in Drosophila. Malathion is an OP often used to control lice in sheep. L. cuprina has developed resistance to this pesticide through a point mutation in the LcαE7 gene which results in a Trp251Leu substitution. The LcαE7 (sometimes known as Rop-1 or Rmal) gene normally produces a carboxylesterase, E3. The mutation decreases the carboxylesterase activity while improving the enzyme’s ability to break down dimethyl OPs, particularly malathion.8 In an attempt to determine if this variant was present prior to selection by OP use, pinned specimens were sampled. It was found that this particular mutation was fairly widespread prior to the introduction of OPs.9 Thus, the development of resistant L. cuprina populations appears to be a classic case of natural selection. It is not that the data precludes the possibility of directed mutations playing a role, but such an explanation appears unnecessary. This particular mutation [for melathion resistance] was fairly widespread prior to the introduction of organophosphates. Thus, the development of resistant L.cuprina populations appears to be a classic case of natural selection. There are still many unanswered questions. For example, it could be argued that diazinon resistance was present in the population prior to the use of this OP, but was not detected due to low frequency in the population and the small sample size of pinned specimens. However, if this is true, it seems odd that natural selection would not have effectively eliminated it given the significant fitness costs associated with the loss of carboxylesterase activity. Conversely, it could also be argued that both the appearance of the resistant mutation and of the subsequent modifier mutation were the result of directed mutations resulting from the selection pressure. Interestingly, the same mutation conferring diazinon resistance has been found in a sister species, L. sericata,9 and in the housefly M. domestica.14 This has been interpreted as ‘suggesting convergent evolution around a finite set of resistance options.’9 Evolutionists have yet to provide credible explanation of how molecular systems that putatively originated by random, chance processes come equipped with ‘options’ that allow for adaptation. It appears that evolutionists generally accept that this mutation arose independently in separate species. The fortuitous timing of the appearance of this mutation that corresponds with OP use suggests something more than just random processes at work to allow for such dramatic adaptation. No variants have been found where both mutations occur together within the same gene. Moreover, it is predicted that if both mutations existed within a single gene, it would not confer effective resistance against both these OPs. This is because effective malathion resistance appears to require the presence of some carboxylesterase activity, and the mutation which confers diazinon resistance abolishes this.15 However some isogenic strains of L. cuprina are resistant to these two OPs as a result of gene duplication. Intriguingly, three different gene duplications were identified and each involved a resistant form of the gene. No gene duplications were identified with any of the various susceptible alleles.8 This suggests that gene duplication may be a designed adaptive mechanism, rather than just an accidental occurrence as the standard evolutionary paradigm predicts. Figure 2. Acetylcholine is used to transmit nerve impulses. Acetylcholinesterase normally breaks down acetylcholine so the signal doesn’t last indefinitely. 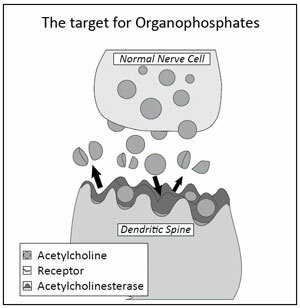 Organophosphates bind acetylcholinesterase so it is unavailable resulting in a hyperexcited nervous system and, if the dose is high enough, death. It is intriguing that mutagenesis resulted in LcαE7 resistant phenotypes with selection above the LC100 , but not in selection significantly below this concentration. Perhaps some resistant insects were generated in both cases, but the selection with low levels of diazinon did not favour them significantly enough for that genotype to remain in the population. Alternatively, perhaps EMS did not directly generate the resistant allele, but instead affected the genetic stability which resulted in the resistant phenotype when significant pressure was applied. A study attempting to induce particular mutations in bacteria found that low exposure times to radiation that killed roughly half the population failed to produce the desired mutants. As the exposure time increased killing 93% of the population, some mutants were found. Further increasing the time until there was a 96–99% mortality left only the desired mutants.19 In both the bacteria and diazinon resistance in blowflies, the mutations are costly in terms of loss of normal function. Thus from a creationary viewpoint, it is not surprising that these changes are generally resisted. The example in bacteria suggests that selecting diazinon mutants might be most effective just below the LC100. It would be interesting to see if the mutation can be induced in susceptible flies under these circumstances without the aid of EMS. In any case, there are many questions waiting to be answered to gain a deeper understanding of how, when and why these changes occur. The properties of modularity, reusability and robustness presented in the theory of facilitated variation correlate with well thought out, good design patterns in computer engineering. The neo-Darwinian view of random mutations driving variability is increasingly seen by evolutionists as inadequate to account for observational data. Recent theories have been advanced including natural genetic engineering3 and facilitated variation.20 Both these views encourage an understanding of genetic and metabolic systems within organisms in terms of computer programming. The properties of modularity, reusability and robustness presented in the theory of facilitated variation correlate with well thought out, good design patterns in computer engineering.21 These and several other properties are combined in a way which allows for genetic variation and adaptation. The authors assume a naturalistic explanation for the origin of these properties; they never attempt to explain their origin. Nevertheless, many of these concepts may prove useful for creationists to explain the remarkable variation that occurs within created kinds (baramins) and the ability of creatures to adapt to changing environments. Since man was created in God’s image and has become somewhat proficient at programming, it should seem only logical that God Himself is a highly proficient programmer. Although the study of the development of insecticide resistance is often considered a topic in evolutionary biology, this type of research is essential for understanding the types of changes which occur in living things. The information derived from observations in this area are critical to further development of our understanding of the world God created and ways in which He sustains it while in its present fallen condition. It is fascinating that evolutionists are increasingly describing living things in terms of programming. Since man was created in God’s image23 and has become somewhat proficient at programming, it should seem only logical that God himself is a highly proficient programmer. The notion that genetic changes are always from chance processes should be rejected by creationists. Instead, evaluation of conditions surrounding the appearance of particular changes can help elucidate what underlying mechanisms may be involved. This will provide more insight into how God sustains his creation in a fallen world. Scientific research continues to reveal the amazing complexity and design of creatures as well as their astounding ability to overcome immense environmental challenges; facts inconsistent with naïve naturalistic explanations of the origin of life. This area holds great promise as a fertile field for creationary researchers. Anthrax and antibiotics: Is evolution relevant? Psalm 147:8–9; Matthew 6:25–34. Return to text. Genesis 3; Romans 8:19–23. Return to text. Shapiro, J.A., A 21st century view of evolution: genome system architecture, repetitive DNA, and natural genetic engineering, Gene 345(1):91–100, 2005. Return to text. I have previously predicted that directed mutations are important in eukaryotes based on observations of variability within monobaramins. There is still no known mechanism for directed, heritable mutations in sexually reproducing organisms. Lightner, J.K., Identification of species within the sheep-goat kind (Tsoan monobaramin), J. Creation 20(3):61–65, 2006. Return to text. Mutero, A., Pralavorio, M., Bride, J. and Fournier, D., Resistance-associated point mutations in insecticide-insensitive acetylcholinesterase, Proc. Natl Acad. Sci. USA 91(13):5922–5926, 1994. Return to text. Walsh, S.B., Dolden, T.A., Moores, G.D., Kristensen, M., Lewis, T., Devonshire, A.L. and Williamson, M.S., Identification and characterization of mutations in housefly (Musca domestica) acetylcholinesterase involved in insecticide resistance, Biochem. J. 359(Pt 1):175–181, 2001. Return to text. Chen, Z., Newcomb, R., Forbes, E., McKenzie, J. and Batterham, P., The acetylcholinesterase gene and organophosphorus resistance in the Australian sheep blowfly, Lucilia cuprina, Insect Biochem. Mol. Biol. 31(8):805–816, 2001. Return to text. Newcomb, R.D., Gleeson, D.M., Yong, C.G., Russell, R.J. and Oakeshott, J.G., Multiple mutations and gene duplications conferring organophosphorous insecticide resistance have been selected at the Rop-1 Locus of the sheep blowfly, Lucilia cuprina, J. Mol. Evol. 60(2):207–220, 2005. Return to text. 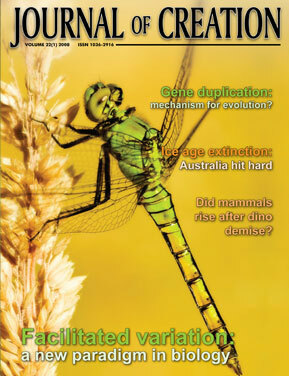 Hartley, C.J., Newcomb, R.D., Russell, R.J., Yong, C.G., Stevens, J.R., Yeates, D.K., La Salle, J. and Oakeshott, J.G., Amplification of DNA from preserved specimens shows blowflies were preadapted for the rapid evolution of insecticide resistance, Proc. Natl Acad. Sci. USA 103(23):8757–8762, 2006. Return to text. Newcomb, R.D., Campbell, P.M., Ollis, D.L., Cheah, E., Russell, R.J. and Oakeshott, J.G., A single amino acid substitution converts a carboxylesterase to an organophosphorus hydrolase and confers insecticide resistance on a blowfly, Proc. Natl Acad. Sci. USA 94(14):7464–7468, 1997. Return to text. Davies, A.G., Game, A.Y., Chen, Z., Williams, T.J., Goodall, S., Yen, J.L., McKenzie, J.A. and Batterham, P., Scalloped wings is the Lucilia cuprina notch homologue and a candidate for the modifier of fitness and asymmetry of Diazinon resistance, Genetics 143(3):1321–1337, 1996. Return to text. Dean, A.M. and Thornton, J.W., Mechanistic approaches to the study of evolution: the functional synthesis, Nature Rev. Genet. 8:675–688, 2007. Return to text. Likewise, demonstrating possible sequential steps to change the ligand specificity of a receptor does not demonstrate the evolution of complexity as the authors have erroneously implied. Dean and Thornton, ref. 12, pp. 683–685. Return to text. Claudianos, C., Russell, R.J. and Oakeshott, J.G., The same amino acid substitution in orthologous esterases confers organophosphate resistance on the house fly and a blowfly, Insect Biochem. Mol. Biol. 29(8):675–686, 1999. Return to text. This is in contrast to the mutations described in the Ace gene in other insects where combining point mutations is additive. See Mutero et al., ref. 5 and Walsh et al., ref. 6. Return to text. Sharp, A.J., Locke, D.P., McGrath, S.D., Cheng, Z., Bailey, J.A., Vallente, R.U., Pertz, L.M., Clark, R.A., Schwartz, S., Seagraves, R., Oseroff, V.V., Albertson, D.G., Pinkel, D. and Eichler, E.E., Segmental duplications and copy-number variation in the human genome, Am. J. Hum. Genet. 77(1):78–88, 2005. Return to text. Wapinski, I., Pfeffer, A., Friedman, N. and Regev, A., Natural history and evolutionary principles of gene duplication in fungi, Nature 449(7158):54–61, 2007. Return to text. McKenzie, J.A., Parker, A.G. and Yen, J.L., Polygenic and single gene responses to selection for resistance to Diazinon in Lucilia cuprina, Genetics 130(3):613–620, 1992. Return to text. Gillen, A.L., and Hubbard, R., Developing Serratia marcescens as a model to elucidate aspects of germ genesis exemplified by Mycobacterium leprae, Occasional papers of the BSG 10:13, 2007. Return to text. Gerhart, J. and Kirschner, M., The theory of facilitated variation, PNAS 104(suppl. 1):8582–8589, 2007. Return to text. Gollmer, S., Degradation of design and anti-patterns, Occasional papers of the BSG 10:14, 2007; <www.bryancore.org/bsg/opbsg/010.pdf>. Return to text. Gerhart and Kirschner, ref. 20, p. 8587. Return to text. Genesis 1:27 Return to text.